Fashion inspiration can come from the oddest places. In this case not so odd, for me anyway. I get inspired by books, movies, anything really. In fact, when a movies gets boring, I stop following the story and start looking at the outfits. 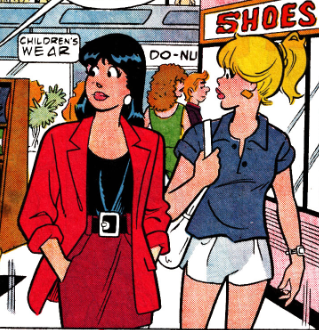 So, I was reading Archie the other day and noticed how awesome their outfits looked. I have always known they dress well (one of the things I love about Archie is the fashion) but I was seeing some awesome combinations and decided I had to do a "Fashion inspired by Archie" series. 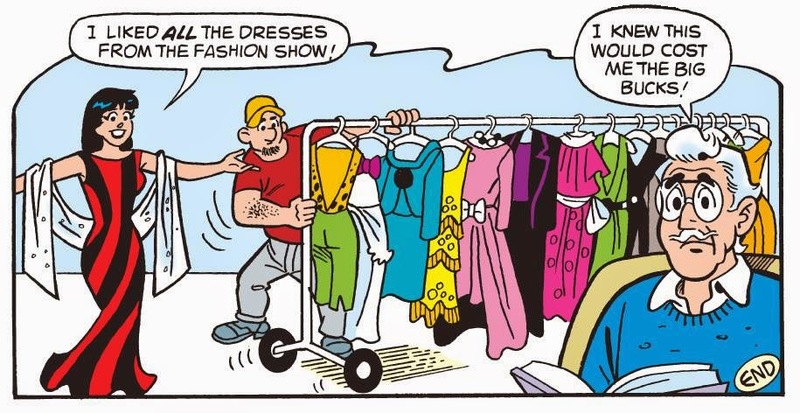 For this post, we'll be getting our inspiration from our home girl V. This should come as no surprise seeing as she is Riverdale's fashion expert. Veronica I mean. I like to pretend that we are close friends and have nicknames for each other. Too bad she's a fictional character. *sigh*. 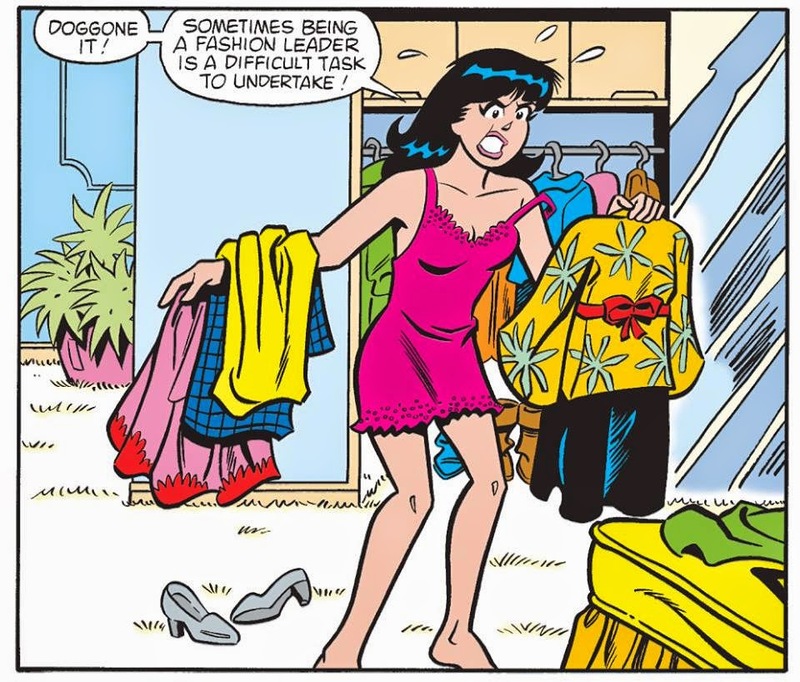 I love veronica's sense of style. It's trendy, flashy and she's never afraid to take fashion risks. She's a true fashionista. Never making fashion blunders or errors, she's the ideal style icon (at the cost of her father's bank account of course). This is the outfit I drew inspiration from. I love the over-sized blazer and bold belt, but what really caught my attention was her colour combination. A good colour combination makes an otherwise simple outfit look complex and dressed-up. It's also a good way to add that "wow" factor while still being relatively safe. A fool-proof way to combine colours is by letting the accessories do most of the colour blocking. 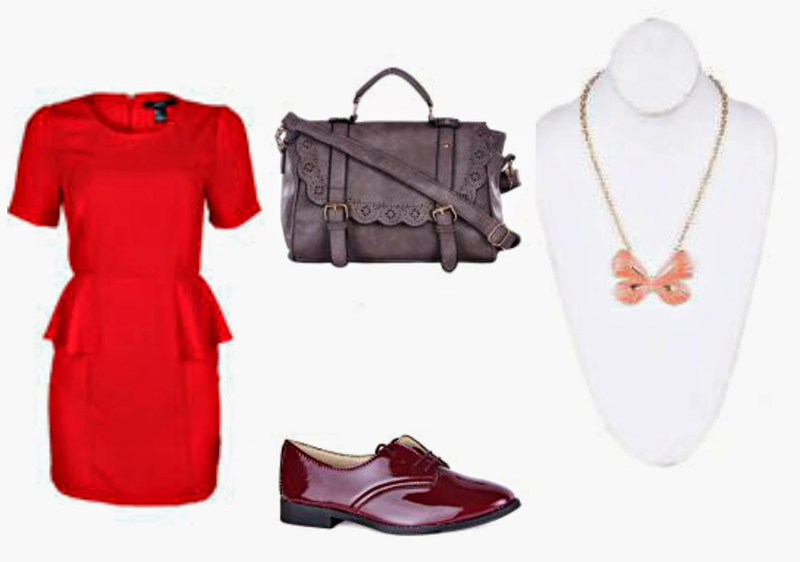 Dress up a simple burgundy dress with pointy-toed red killer heels. Keep the dressy look going with a black satchel bag. Throw in a burgundy wristwatch for good measure. 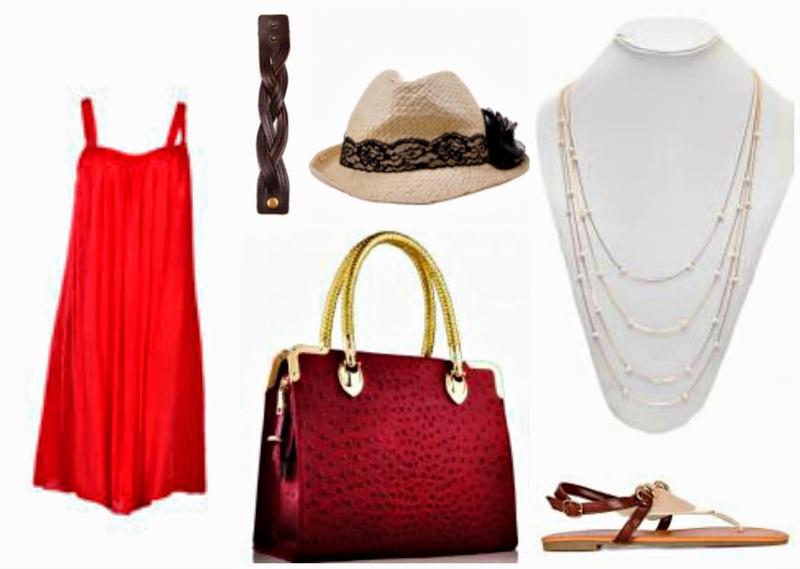 Keep things casual with this red dress. 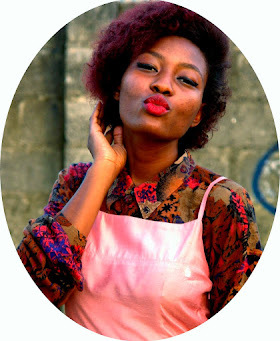 Again, we're colour blocking with the addition of a burgundy tote bag while keeping other colours neutral. The leather bracelet adds some edge to the outfit. I love the look of this layered necklace and the straw hat keeps things light which is very ideal for the weather. Brogues are my favourite shoes in the world. They give any outfit a different look as opposed to normal ballet flats or heels. The grey bag is neutral but keeps things interesting compared to regular black. Add this cute necklace to tie in the look. This look is my favourite. I am a HUGE fan of maxi skirts and crop tops. 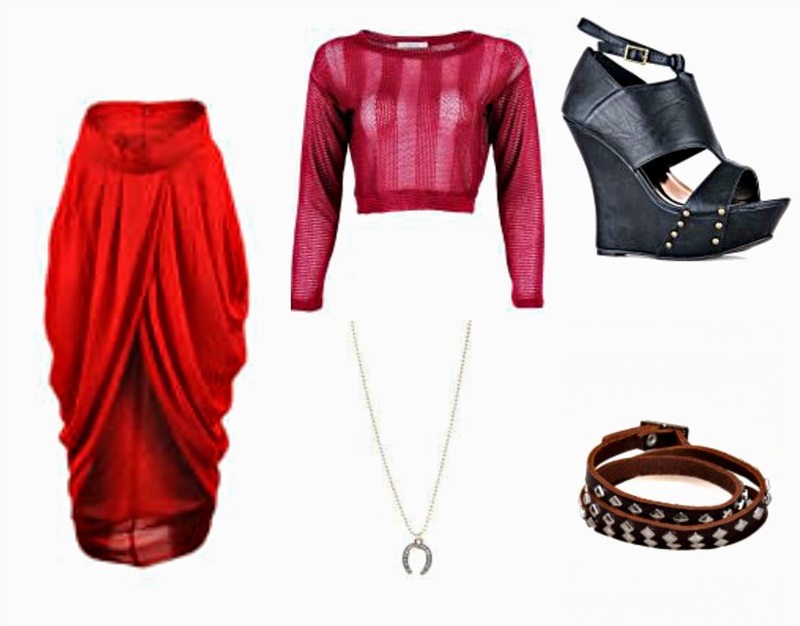 This sheer jumper is comfortable, on trend and goes fabulously with the red Grecian inspired maxi skirt. The sandals add some height as well as edge. The horse-shoe pendant and studded leather bracelet continue the edgy vibe. Forget the whole "Don't wear black and brown together" rule. Rules are made to be broken! All looks are shoppable and affordable. Fashion inspiration can be gotten from anywhere, including your favourite comic book. Have fun and be creative. 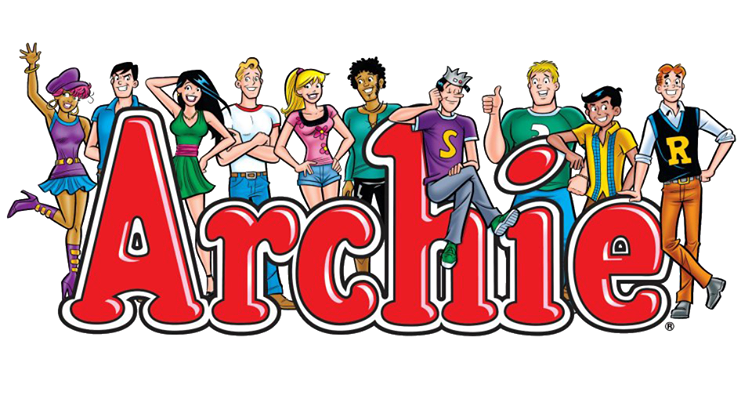 Are you a fan of Archie?? Where do you get your inspiration?? Would you wear any of the outfits above?? Let me know in the comments, I'd love to hear from you! Don't forget to keep up with MLB on Instagram, Facebook, Google Plus and Bloglovin', let's connect! I would definitely wear outfit 3. 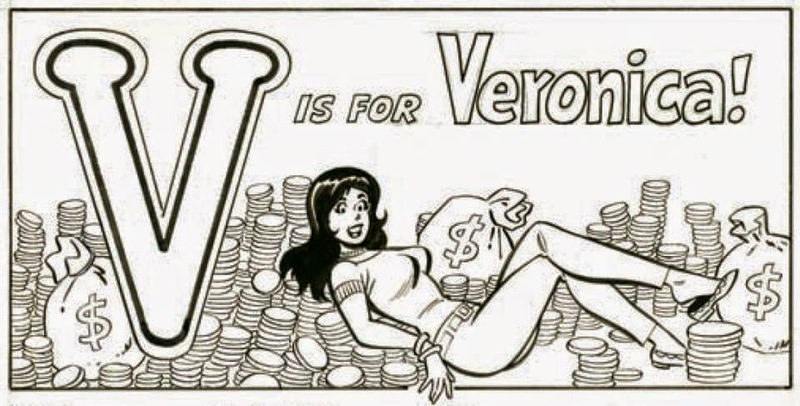 I like veronica's style but i prefer betty style any day.